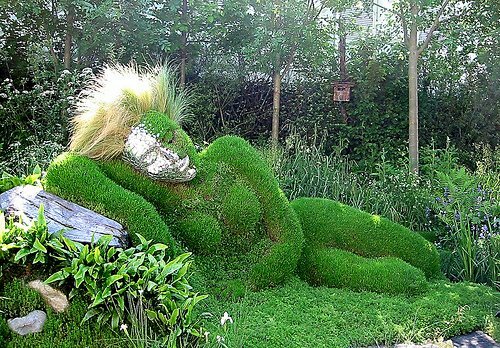 The Chelsea Flower Show 2013 is about to begin! Calling all green fingers! Grab your sun hats for ‘tis almost time for THE biggest horticultural gathering of the Great British summer. Actually it’s arguably THE biggest horticultural gathering in the world. 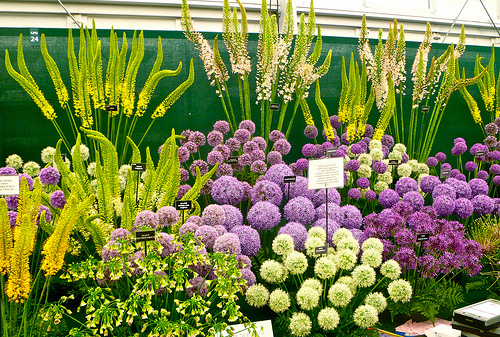 Dearest London Perfect readers, the Royal Horticultural Society’s Chelsea Flower Show is almost upon us. This annual event takes place each May and this year runs from the 21st to 25th. And what a gathering it is. Tickets have already sold out for 2013 and around 161,000 visitors will have a good look at the 500-odd exhibitors, “oohing” and “aaahing” over the traditional, the exciting, the contemporary and the controversial (of which more later) of the gardening world. Traditional, exciting, contemporary or controversial? You decide. 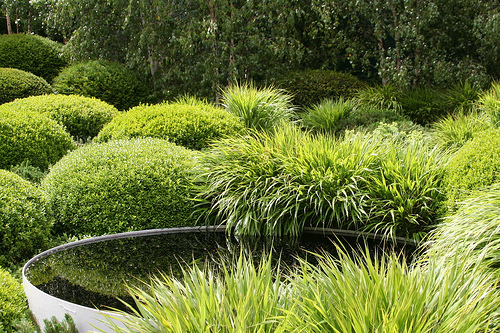 Gardens aren’t simply spaces to stick in a few Pansies or Busy Lizzies. When created with flair and skill they are an artistic experience that delights all the senses. Colour, perfume and texture are found in abundance whilst the sounds of a green space – from wind rustling through leaves to birdsong – bring balm to the soul. And as for taste … anyone who has grown their own fruit and vegetables will testify to the superiority of flavor over any shop bought impersonator. A true artist could not possibly resist such a palette … and what a location to show off the final art works! 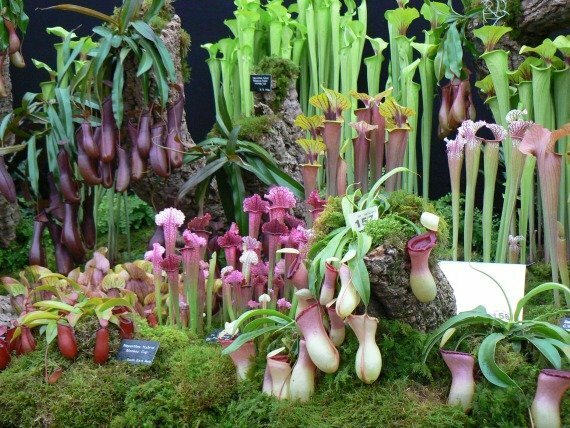 The Flower Show is held in the grounds of the very elegant Chelsea Royal Hospital, a 5-minute walk for those lucky enough to stay in London Perfect’s Hamilton or Elliot apartments in Chelsea. The Show is also celebrating its Centenary. 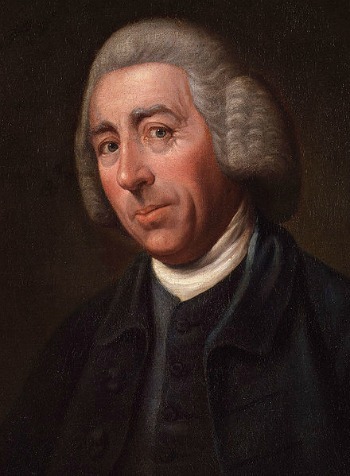 That’s 100 years of celebrating the magnificence that is the gardening creativity of the British (Capability Brown and Humphry Repton anyone?). We may not have an empire any more but, by gum, we’re jolly good at gardening. And keen. Did you know that one of Britain’s longest running radio shows – for which gardening clubs up and down the nation still fight pitched battles with trowels and rakes for the honour of hosting – is a gardening show. Since 1947 Gardener’s Question Time has ruled the airwaves. But back to the Chelsea Flower Show and I would just like to point out that it’s not just about the best and fairest of British gardening. Ok, so Prince Harry is involved in the garden created by the Sentebale charity of which he is the founder. He’s very British. And there will be gnomes (of which more later). Which have been very British since the 1930s. But there will also be exhibitors from the US, Australia, Canada and well, lots of other exotic places. Like Wales. The point is if you can get a ticket or know someone who can get one for you THEN YOU MUST GO TO THE SHOW. It’s the place to see what today’s greatest garden designers are up to and what intriguing horticultural delights you’ll be cultivating in your garden soon. 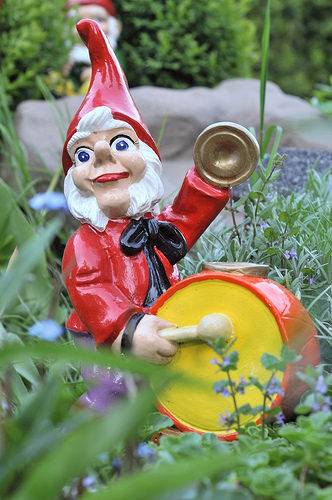 And this year, controversially, for the first time in 100 years… there will be gnomes. “Whut?” I hear you mutter. You see the common garden gnome – so beloved of rockeries and gardeners with a sense of silliness up and down this nation – have been banned, banned at Chelsea since its inception. In recent years “gnome-fanciers” have been protesting outside the front gates at this terrible discrimination. The problem is that the rules of the Show state that coloured statues (as well as balloons and bunting) are not allowed. Probably because they are considered a distraction from all the floral amazingness. Which is fair enough. 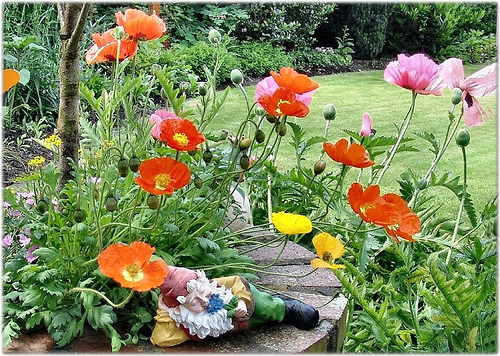 The Garden Gnome: Complement or Distraction? You decide. But gnomes, gnomes… they come into a special, elevated category all of their own and this year, and for one year only, they will stand tall amongst the brightest and best of the horticultural titans. 9 foot tall in fact. At the entrance gate. It’s all about setting the tone, a very British one that even at it’s most traditional, beautiful and glorious just can’t take itself too seriously. 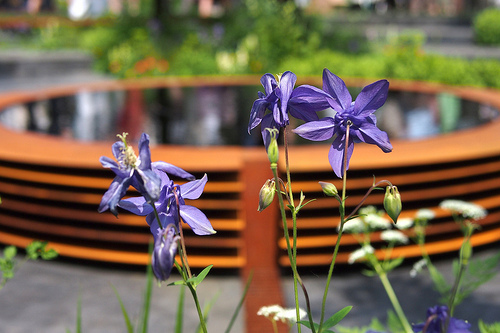 If you’ll be visiting the Chelsea Flower Show this year, check out our Insider Tips for the Chelsea Flower Show. 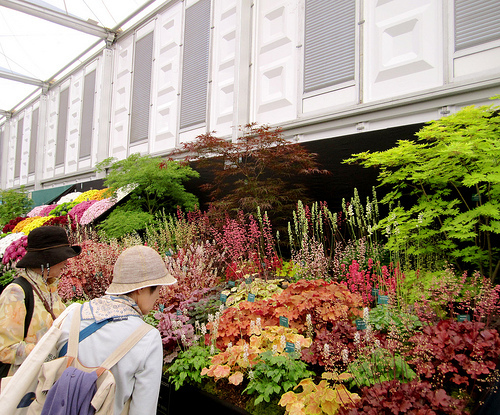 London Perfect will be there this year, and we’ll report back on all the gardening insights, inspiration and gnome-sighting adventures at the 2013 Chelsea Flower Show! Posted on Thursday, May 16th, 2013 at 11:09 am in See & Do. You can follow any responses to this entry through the RSS 2.0 feed. You can leave a response, or trackback from your own site.